Today we will pick you up from Bagdogra Airport or NJP railway station and cover an uphill road of 84 km to Kopidana, our base camp at 6,400 ft. This is going to be a 5 km drive and breakfast and lunch will be outside the TTH trek package. We start off from Kopidana, a lesser used but beautiful basecamp village for treks in West Bengal. We begin early morning after breakfast on this 5-6 hour trek covering mixed ascents. Hot lunch will be provided on the way. Tumling is where the border between trekking in Nepal and India blurs and we are suddenly ushered into another country after crossing a check-post where you must keep your visa and IDs handy. There are hardly ever any restrictions for entering the place whether you are an Indian or a foreigner with Indian visa. From other access points to Tumling, it is even more of a freeway. The tiny hamlet of Tumling is located at an altitude of 9, 600 ft., within motor road access from Manebhanjam and Jaubhari—the other points of ascent on the Sandakphu-Phalut trail besides Kopidana. There are about 10-12 Nepali families living in this mountain parish who run teahouse accommodations for the trekkers all year long. In addition, you will find quite a few private lodges and huts adding to services available in the area for tourists and trekkers. Since we start really early in the morn, lets expect to reach the warm hospitality waiting for us in Tumling by late afternoon around 5 while there is still plenty of light. Later, you can go over to the viewpoint at the center of Tumling from where the superb view of Kanchenjunga family of snow peaks meets the eye. The sunset at Tumling this afternoon is going to be your first of many awe-inspiring sunsets to come on this journey. From the center you are also going to find a signboard indicating towards the expanse of Singalila National Park starting right ahead, and on this way you will find the entry to park in about 1 km from Tumling. At another side you will find a high trail zigzagging towards Tonglu, another altitudinous mountain settlement. If you love Himalayan trekking in the winters you will find the well-demarcated trails used after the snowmelt season for trekking to Sandakphu-Phalut, now overwhelmingly covered. Another beautiful sunrise to look forward to on the Sanndakphu Phalut Trek comes on the morning of our 3rd day, waking up in Tumling. The magnificent Sleeping Buddha washed in the first rays of the sun gleams sublime across the sky. The entire set of Kanchenjunga peaks unveils if the sky is clear and the vision starts your day in the right mood. Look out for the prominent three in the background—the Kanchenjunga main flanked on two sides by the Kumbhakarna and Shimbho peaks. In the fore, you can make out the peaks of Goecha, the Kabru set of peaks, Rathong, Koktang, and Frey. You can also trace the hollow of Goecha La somewhere along the frontline peaks— one other of our popular treks, located in Sikkim. We start our journey towards Kalipokhri today through the charming forests of Singalila Natioanl Park. An interior Nepal-bound motor road runs close to our hiking trail that we often catch glimpses of. The forests are famed for its rapturous summer colors when the rhododendrons and magnolias come in full bloom. We move through the thickets to our first stop at Gairibasa- a tiny settlement consisting of a few hotels and rest homes, and falling under the Nepal side of the border. 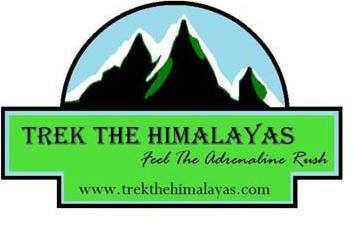 Here we will come to an Entry check Post again and need to produce an entry fee to access the trek. The Gairibasa check post settlement is a good place to take a tea-break and ensure some rest for the legs before embarking on another 2 km trek to the next settlement at Kaiyakatta. Also because, a steeper climb is coming! Going a little beyond Gairibasa, on the Kaiyakatta way, we will find steps cut into the elevation, easing out the ascent for the trekkers. At one side we also find the motor road twisting its way across closer to the Nepal side. An hour into our ascent from Gairibasa, we will reach Kaiyakatta, in time for a hot lunch at the settlement’s Nepali enclaves. Kalipokhri- our final stop or the day is another 4 km from Kaiyakatta. The trail gets greener and more scenic. This stretch is also home to many bird species and a site attracting migratory fledglings. Within a two hour trek on this route you will come across a black water lake nestling near to a settlement, surrounded with prayer flags fluttering in the wind and a t one side a small Buddhist temple.Your teahouse is just a short walk from this point. The trail from Kalipokhri to Sandakphu should be an easy trek for those sufficiently fit. The trail goes on an initial gradual ascent covering the forst 30 minutes, followed by a steeper climb for about an hour, and after that falling on a winding motor road. It’s going to be a 3 hour jaunt covering about 6 km. Reaching the flats of Bikheybhanjang, you will be looking at the vast panorama of the Sandakphu summit ahead of you. From this point, it’s another 4 km up a zigzagging route. After an hour’s climb, you can make out teahouses and huts marking the horizons of Sandakphu. Soon, we will be closing in on the summit point from where a 180 degree sweeping panorama of the tallest Himalayan peaks open up before us. On a clear day, the glitterati of ice-peaks shows Makalu, Lhotse, Everest, Nuptse, Baruntse, Chamling, Chomolonzo, Machapucchare, extending to the Annapurna family of peaks broadening out to the West. The vision of Sleeping Buddha which stayed with you on and off through the trek now lies in prominence before you, and to further North, you can make out the Three Sisters peaks. Our camp lies a little down from the summit near a small water point. After viewing a soul-stirring sunrise over the magnificent peak panorama, one of the best found on trekking in India, we get ready for our descent to village Sepi located in West Sikkim. This is going to be our longest trek in the whole journey but the descent will make it less exhausting. Our trail will pass through a different kind of forest today, that of bamboos where it’s the natural habitat of Red Pandas and Bears. A winding forest trail will take us to Gurdum at mid noon where we will be served hot lunch. Here you can try ordering a drink of the exotic rhododendron blossoms that’s full of medicinal benefits and makes for a good dessert. The next village we will be crossing is Timburay—a settlement of a few houses and tea shops. Here, we will come across the beautiful Sri River known in the local tongue as Sri Khola, khola meaning river. After crossing a wooden bridge over the stream, we will reach the village of Sepi in the afternoon. After spending a night of rest in the scenic idyll of Sepi, we get on board this morning, driving towards NJP. Scheduled time for arriving at NJP station is 7 pm, so you can safely book a night train/flight home on the 6th day, qualifying Sandakphu for a nice long weekend trek. TTH’s Tata Sumo or similar vehicles will pick-up you from NJP Railway Station at 01:00pm. Max Altitude :- 12,000 Ft.